Biography: Ernst studied philosophy at Bonn University, before being influenced by August Macke and taking up painting. In 1919, he and Johannes T. Baargeld founded the Cologne dadaist group. Together, they published the review Die Schammade, though only one edition was published in 1920. In 1922, Ernst moved to Paris, where he became on of the founding fathers of surrealism. He invented "frottage" in 1925, and this allowed for some of his most remarkable work. His greatest period began with the paintings entitled Garden Aeroplane Trap (1935 – 1936), as well as the sequence of paintings including the Nymph Echo and Joie de vivre (1936), produced using decalcomania. He continued this period in America between 1941 and 1953, with Antipope (1942), Rhenish Night (1944), and The Eye of Silence (1945). 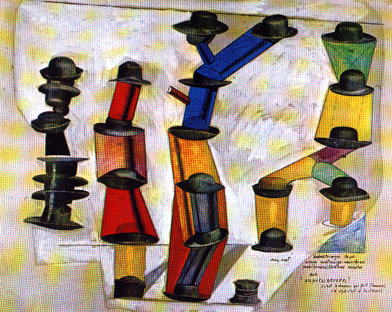 Ernst remained true to the surrealist movement when he returned to France. In 1954, he won the Grand Prix at the Venice Biennale. 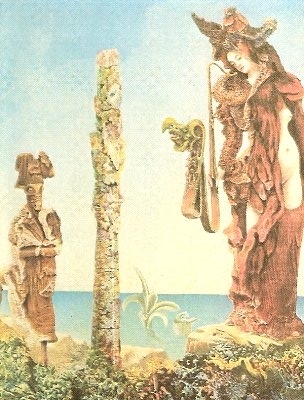 His traditional paintings, such as Messalina as a Child and The Famous Dream-Smith (1959), while decent in artistic merit, are believed to be far less original than those created in his surrealist period.